Fabric from Hammerle: Our easy iron shirts are made exclusively from the finest long thread Egyptian Giza cotton. The fabric is sourced from Hammerle, which has been perfecting the art and science of premium yarn dyed fabrics since its beginning in 1836 in Austria. Buttons from Union Knopf: We know that a good shirt deserves great buttons - those with depth of color and shine. Our dashing buttons are sourced from Union Knopf, which was founded in Berlin in 1911. We love that your shirts have perfect radiant, yet subtle buttons that are also resilient to degradation caused by cleaners and heat. Interlining from Freudenberg: The firm yet soft interlining for the shirt collar, cuff and placket is from Freudenberg. The specially engineered fusing combination helps your collar sit perfectly on your collar bones. 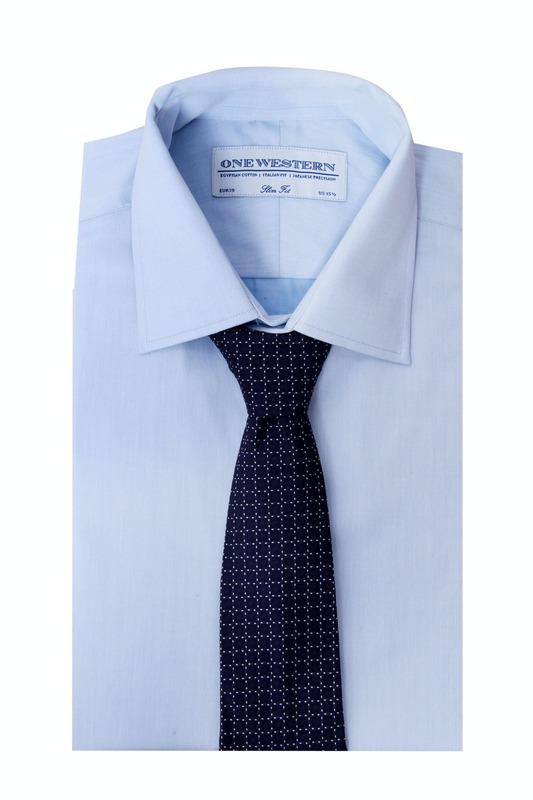 The fused placket and cuffs provide an air of sharpness without effort. Threads from Gutermann: We source all our thread from Gutermann, which has perfected the art of abrasion resistant, beautiful thread over the past 150 years. Our shirts have a strict minimum of 18 stitches per inch, holding together the perfect components with our sartorial excellence. The One Western fit and style is influenced by contemporary Italian designers. Our factories are based in Asia and use the finest Japanese machinery to deliver precision efficiently.